Interview: can Windows Mobile keep up with the iPhone & Android? Can IE6 go where no other browser can? Recently promoted to senior vice-president running Microsoft's Mobile Communications Business, Andy Lees is in charge of the company's mobile strategy. We asked him what MIcrosoft is going to do to retain its share of the smartphone market this year. Is Windows Mobile 6.1 just a point release or is it a change of direction? We were originally doing smartphones to make them a business tool but that is changing quite dramatically. Now, we have the connectivity (on phones) to allow all sorts of scenarios to take place and because of the different form factors that are available – from 12-key devices to touch screens to QWERTY to sliders - there's a much broader set of options for how you use the phone. With Windows Mobile 6.1 we're making it easier to use, with better setup and navigation. We have better scenarios for consumers around instant messaging and texts and voice calling. We have Windows Live for mobile to get that information any time, anywhere. We're putting Internet Explorer 6 on the phone as well. We will do that for the fall, the full fidelity and rich media rendering that you expect on IE6. One of the demonstrations we're doing at CTIA is we're showing Facebook running under IE6 on Windows Mobile - and you can actually use the apps on Facebook, like superpokes. No other mobile browser has been able to do that so far. The Safari browser on the Phone, the Android browser, they're all based on WebKit and that's only a subset of what's in Internet Explorer 6. So you're adding features for consumers and you bought Danger. Are you trying to turn Windows Mobile into the next Sidekick? The Danger acquisition helps us with a certain demographic, with a certain age group and a certain usage of phones. They have technology that will permeate across all the phones that we have, but they also have expertise in developing for what's known as the '17 to 25-year old communicator' - a person who spends a lot of time doing social networking, instant messaging and sharing things. In reality, it's becoming '11-years old and above for a certain set of people', so it's extremely broad. So they have some base technology that will be applicable everywhere and then, for this specific demographic, we will have a targeted set of experiences because it's such an important area. We want to create a unique set of experiences for consumers at home, and work and at play - listening to music, doing photos, doing social networking, getting access to business applications, getting access to personal or business email. We have a lot of assets to bring to bear on that. 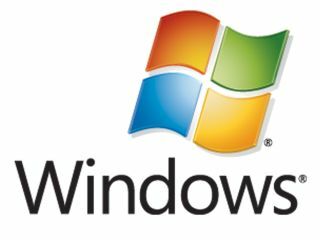 We have more than 300 million users of Windows Live. We have a billion users of PCs. We have tens of millions of users of mobile devices. If we can bring those things together, it's really powerful. Do your relationships with mobile operators help you compete with the iPhone and Android? One of the things that we can do slightly differently to Apple and Google is that they have what I think of as the 'over the top' scenario - they're not doing anything to enhance the mobile operator's ability to create data plans. They just want the operator to create the '$30 all you can eat' data plan – what the number is varies around the world. Our approach is to be very operator friendly, so we offer tiered services they can use to have different price plans. Are smartphones powerful enough to have full browsers on now? Moore's law is helping us an awful lot. You only have to look at some of the new chipsets coming out; not to single out a single manufacturer but take Qualcomm's Snapdragon.